It’s got a funny name, but this Japanese import is no laughing matter. so what is real wasabi? It’s spicy, tasty, and packs some pretty important health benefits, as well. However, it’s harder to find here than you might think. Furthermore, if you’re buying it without researching the brand first, chances are good that you’re not getting the real deal. Chances are your just eating horseradish that’s been coloured light green. Real wasabi, unlike the many brands in the stores, is actually made from wasabi japonica. Which is a very rare plant. That rarity means it’s costly and pretty hard to get a hold of, even if you live in Japan. Unlike horseradish, which is the root of a plant, wasabi is made from a rhizome, which is a root-like stem and grows above ground. 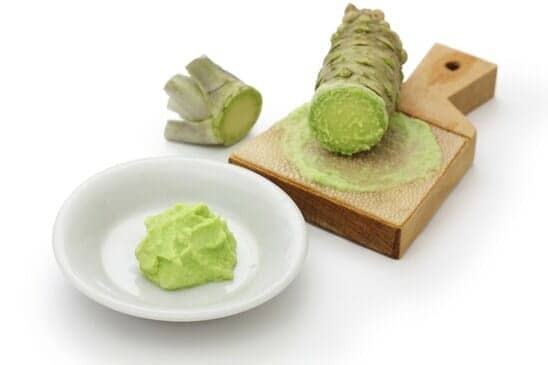 Wasabi is related to both horseradish and mustard. This is why both of those are used to make what most of us know as wasabi. And like mustard and horseradish, wasabi has benefits that go beyond making your sushi taste better. Or lending a spicy heat to other dishes (it’s used on everything from veggies to steaks by those brave enough to try). It packs in a lot of health benefits. Wasabi japonica is in the same family as kale, cabbage, broccoli and many other veggies. It also packs the same nutritional punch as its counterparts such as blueberries and brings a host of health benefits to the table. Like horseradish and other foods, wasabi has some powerful antibacterial properties. It combats yeast and mould, and can even help prevent bacterial infection of food (part of why it is so popular with raw fish). Like kale, wasabi has anti-inflammatory properties. When you consider, the fact that many modern illnesses stem from inflammation within the body, this is crucial to consider. In fact, research has pointed out that wasabi can be useful in helping a number of health concerns, ranging from asthma to sepsis to allergies and many others. Many natural foods possess natural cancer-fighting qualities, and wasabi is among them. 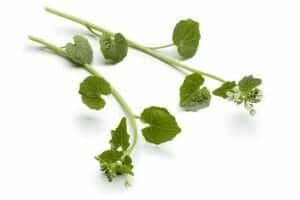 Wasabi possesses properties, which have been proven to help fight cancer during animal testing, particular cancer of the lungs, liver, stomach and breast cancer, among other types. It was also proven in human trials to help fight pancreatic cancer. In this day of fear of microbes, wasabi can be a potent weapon. It has been proven effective against a very wide range of microbes, including those that cause dental decay and lead to cavities. Again, it is the plant’s isothiocyanates that cause this action. Research into the health benefits have been pretty in depth, and it has shown to be effective for a broad range of illness. These range from settling an upset stomach to helping to improve heart function. If you want to enjoy all the health benefits offered by this food, you’ll first need to make sure that you have the real thing, and not a horseradish/mustard mix. While both horseradish and mustard can offer health benefits, they’re not the same as what you gain from wasabi. In most cases, wasabi must be grated fresh, and added straight to the food or placed on a plate beside the dish. This is because real wasabi begins to lose its flavour in as little as 15 minutes of being grated. However, if you’re main interest is in the health benefits on offer, rather than using wasabi in your cooking, a powdered version can be just as effective as fresh.